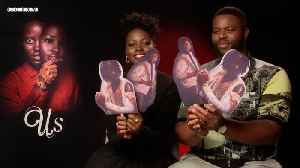 Hollywood star Winston Duke is coming off a huge $70 million Us opening weekend and giving fans the nitty, gritty scoop on Us. 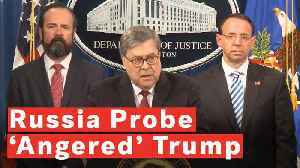 The flick’s standout actor appeared on “The Breakfast Club” Monday to talk about Us‘ meanings, the American Dream and more. 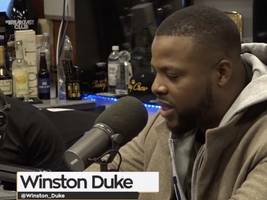 The post Watch: US Star Winston Duke Breaks Down Jordan Peele’s Must-See, Flawed American Dream, Colorism + More appeared first on SOHH.com. Two years ago, Jordan Peele made his directorial debut with “Get Out” and won an Oscar. 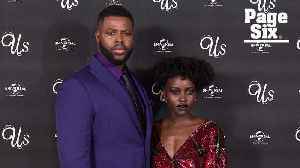 Peele is back once again taking Hollywood by storm with another great horror flick, “Us.” On the surface,..
Jordan Peele's 'Us' Breaks Horror Film Records at Box Office Peele's 'Us' topped the weekend box office with $70.3 million. 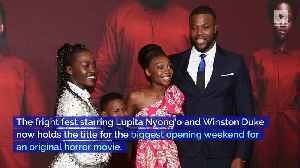 The fright fest starring Lupita Nyong'o and Winston Duke now holds the title..